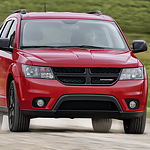 When you drive a Dodge Journey, you'll be able to go on all types of adventures. This vehicle offers many advantages, both in terms of exterior and interior features. Overall, it's a great choice for any of our customers at Gillie Hyde Dodge Chrysler Jeep RAM. The 2019 Jeep Wrangler is a tough and capable all-purpose SUV. While the Jeep Wrangler is known for its towing and off-roading capability, it also includes many features designed for driver and passenger enjoyment. Among these features are specially built foldable windshields and removable doors. The 2019 Jeep Wrangler follows in the regular tradition of removable windshield capability. The 2019 version boasts some important upgrades, including a windshield that requires only 4 removable bolts for stowage. At Gillie Hyde Dodge Chrysler Jeep RAM, we can’t wait to show off the popular compact SUV to you. You can enjoy the exciting exterior features as you drive throughout Glasgow. It’s no surprise that people can’t wait to get behind such a stunning SUV. The Jeep Compass has an aesthetic that is both dramatic and modern. Powerful fenders and a sculpted design create a beautiful profile. The design language is maintained with trapezoidal wheel arches, a seven-slot grille in the front, as well as distinctive daytime running lamps. The Dodge Durango is one of the vehicles at Gillie Hyde Dodge Chrysler Jeep RAM that we recommend because of the features. 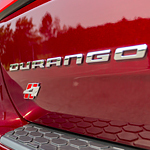 There are different types of features and packages that the Durango offers in its 2019 lineup. As you look through each of the packages you are going to find something that is unique among all of them. Among the feature packages of the Durango you are going to have the choice of looking into are the Blacktop Package, Brass Monkey Appearance Package, and Anodized Platinum Package Appearance. 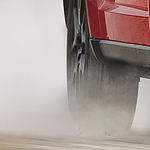 When our friends and neighbors in Glasgow are on the lookout for a new SUV, they want one that is capable of handling anything that life might throw at it. Luckily, they need look no further than the new Jeep Renegade. A quick look at this SUV's list of capability features makes it very clear why it is one of the most popular vehicles in its class. The Chrysler 300 maintains Mopar's reputation for keeping up with all of the latest technological trends and providing the luxury its customers have come to expect from the Chrysler Motors corporation. What can someone expect in their new 300? 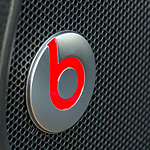 The car comes with Apple CarPlay and Sirius XM radio that allows people to gain music even if they travel long distances through areas with no radio stations. This is a boon for people who need to travel through long areas of the country where only country music stations are found on the local airwaves. 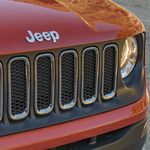 The Jeep Cherokee is one of the American car manufacturer's best compact SUVs. 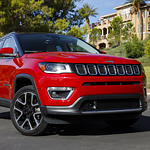 The top compact SUVs don't come close to the features and options offered by Jeep. The new SUV has a spacious cabin, more cargo room, and lots of technology options. 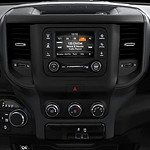 The latest technology includes a 7-inch touch screen standard, as well as six-speaker audio system, Uconnect infotainment system, Apply CarPlay, and Android Auto. There are a number of different features to consider when you are shopping for a vehicle. Many people are concerned with the overall amount of power that is included under the hood. If you are in the market for a powerful vehicle, look no further than the Ram 3500. This vehicle has a number of engine options, some of which are the most powerful in its class this year. 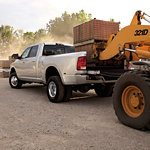 The Ram 1500 has long been regarded as one of the most rugged and sturdy trucks on the road today. At Gillie Hyde Dodge Chrysler Jeep RAM, you can see the Ram 1500 and check out the many features that make this such a desirable vehicle to own. The Ram 1500’s safety features are just one aspect of what makes this a desirable truck. At Gillie Hyde Dodge Chrysler Jeep RAM, we want you to be able to make informed decisions when purchasing a new vehicle. Whether you're driving yourself or a whole group of passengers, you have a responsibility to keep people safe. You can do so in the Dodge Journey with the help of several built-in features.